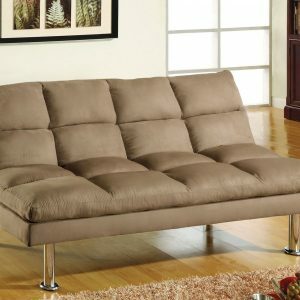 Relax and lounge out in this contemporary style futon that converts into a soft cozy bed. Surprise your guests and turn the sofa structure into a comfortable extra bed when your guests decide to spend the night. After a good night’s rest, easily fold this right back up and nobody will ever tell the difference! 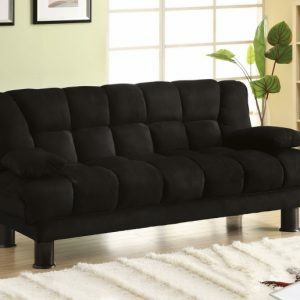 The padded cushions and welt trim give it a durable structure and the warm gray finish is a perfect neutral tone that can complement any setting.